Part 10 of 13 in the Age of Responsibility Blog Series for CSRwire. 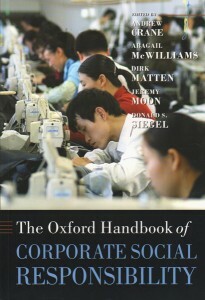 Are conceptions and models of CSR developed in the West appropriate for developing countries? I first tackled this question by setting out what I believe to be 7 popular myths about CSR in developing countries. Most of these myths exist as a result of the feeding frenzy that inevitably occurs every time the media has hunted down and sunk its teeth into one or other juicy story of corporate exploitation. The myths are also sustained, however, by whole legions of largely well-intentioned people who have vested interests in promoting their particular brand of the truth about CSR. Let’s look at these myths each briefly in turn. Myth 1 – Economic growth is not compatible with CSR. What the Index for Sustainable Economic Welfare and Genuine Progress Index show is that GDP growth and quality of life move in parallel until social and environmental costs begin to outweigh economic benefits. According to this ‘threshold hypothesis’ (coined by Chilean barefoot economist, Manfred Max-Neef), most developing countries have yet to reach this divergence threshold. For them, economic growth and the expansion of business activities is still one of the most effective ways to achieve improved social development, while environmental impacts are increasingly being tackled through leapfrog clean technologies. Myth 2 – Multinationals are the biggest CSR sinners. On the ground in most countries, multinationals are generally powerful forces for good, through their investment in local economies, creation of jobs, upgrading of infrastructure, provision of basic services and involvement in community development and environmental conservation. There are always exceptions, of course, and these should be named and shamed. But they shouldn’t overshadow the overall positive role of big companies in developing countries. The cumulative social and environmental impacts of smaller companies, which operate below the radar of the media and out of reach of the arm of the law, are typically far larger than that of the high profile multinationals. Myth 3 – Multinationals are the biggest CSR saviours. Visser, W. (2011) Myths About CSR in Developing Countries, Wayne Visser Blog Briefing, 8 December 2011. In this article, I want to explode a few myths about corporate responsibility in developing countries. Most of these myths exist as a result of the feeding frenzy that inevitably occurs every time the media has hunted down and sunk its teeth into one or other juicy story of corporate exploitation. The myths are also sustained, however, by whole legions of largely well-intentioned people in developed countries who have vested interests in promoting their particular brand of the truth about corporate responsibility. Over the past decade or more, there has been a growing backlash against the economic expansionist agenda of many developed countries and multinational corporations. And rightly so: Blind pursuit of GDP growth or market growth often fails to take into account many of its negative social and environmental impacts, as alternative indicators of progress, like the United Nations Human Development Index, the Index for Sustainable Economic Welfare (ISEW) and the Environmental Sustainability Index, have all amply demonstrated. But it is a mistake to transpose this “growth is not good” argument into a developing country context. What the ISEW showed, in fact, was that GDP growth and quality of life in developed countries like the USA and UK moved in parallel until around 1970, when they began to diverge, with quality of life declining despite continued economic growth. Most developing countries have yet to reach that point of divergence. Economic growth and the expansion of business activities is still one of the most effective ways to achieve improved social development and environmental sustainability. In today’s fishbowl world, when multinationals step out of line, they get slammed in the worldwide media. Typically, their reputations suffer collateral damage and they find themselves being targeted by consumer boycotts and liability suits. This is both appropriate and necessary as a counterbalancing force in today’s supra-territorial society, given the overwhelming size and power of global corporations and the still relatively poor institutional frameworks of regulation and governance to ensure proper accountability. But on balance, these sensational cases are the exception, rather than the rule. On the ground in developing countries, multinationals are generally powerful forces for good, through their investment in local economies, creation of jobs, upgrading of infrastructure, provision of basic services and involvement in community development and environmental conservation. The cumulative social and environmental impacts of smaller companies, which operate below the radar of the media and out of reach of the arm of the law, are typically far larger than that of the high profile multinationals. 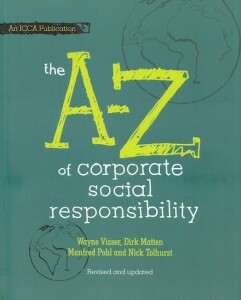 Visser, W. (2003) Corporate Responsibility in a Developing Country Context. Ethical Corporation, Issue 20, August.